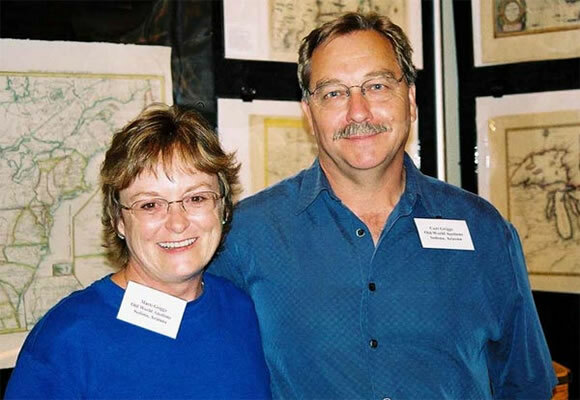 Marti and Curt Griggs have been map collectors for nearly three decades. It all began when Curt stumbled across an antique map shop and was deeply smitten with the history and beauty of old maps. The dealer befriended, educated, and inspired the couple, and before long they changed careers and entered the map trade; first with the Compass Rose Gallery in Sedona, Arizona, and then with Old World Auctions. They currently operate OldMaps.com and the Antique Map Price Record (AMPR). The second edition of Collecting Old Maps is also the product of award-winning book designer, Carol Haralson. Her sophisticated layouts transformed the text book-like first edition into a feast for the eyes, adding immeasurably to the book’s content and accentuating the artistry of old maps. 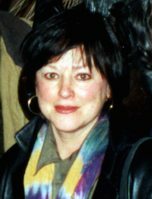 Carol is executive editor and designer of the Gilcrease Journal, co-editor and designer of Sojourns Magazine, and designer of Western Passages. Specializing in book projects for museums, independent and mainstream publishers, artists, photographers, chef-restaurateurs, and galleries, she is also a published poet and writer. Carol has completed numerous publication projects for major art museums throughout the United States, many of which have been recognized nationwide with an impressive array of design awards.